Kanakapura is a small town located 50 km away from Bangalore in Ramanagar district. Since it takes around 2 hours to reach this town, it makes for a perfect road trip with your family and friends. Originally known as "Kaankaanhalli", it is famous for the production of silk and granite. The town is well-known for having numerous adventure camps and also has resorts for a peaceful escape into the nature. With activities such as trekking, camping, bird-watching and nature walks, Kanakapura has now become a tourist hotspot for people with all kinds of interests. The best time to visit this town would be the monsoon, when nature is in - its most pleasant mood. Here are the places to visit on your way. Art Of Living International Centre is a quintessential spot for a person looking for tranquility to beat the city blues. It is a meditation and yoga centre founded by Sri Sri Ravi Shankar, located on Kanakapura Road and is surrounded by greenery. The ashram has Vishalakshi Mantap, which is the focal point where spiritual enthusiasts attend courses, or just spend some quiet time. Radha Kunj is a perfect place for an evening walk in the garden. The place also has a Gurukul and an ayurvedic hospital in its premise. If you love bird-watching, then this quiet hideout is the place to be. Kaggalipura, with the influence of Bannerghatta National Park, is known for being home for bar-headed geese, which happens to migrate during the winter. Apart from these, the lake hosts many other variants of birds such as Common Kestrel, Indian-grey hornbills, Red-naped Ibis and more. So grab a pair of binoculars if you head to the Kaggalipura lake around January-February, which is usually the time of its migration. 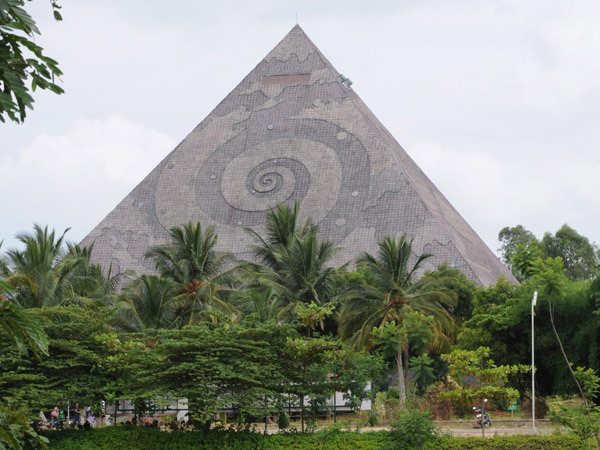 Tucked away in the village of Kebbedoddi, found on the left of Kanakapura road, is the world's largest meditational pyramid, the Pyramid Valley. Founded by Bramharshi Patriji in 2003, the purpose of this serene valley was to give people a common platform to meditate and relax. It has a huge statue of about 160 feet in width and 102 feet in height, of Maitreya-Buddha right at its entrance. On Kanakpura Road, you can find centres that offer paintball and quad biking. Paintball is a fun activity that can be played by people of all ages whereas you can go for quad biking, which is driving on a quadricycle on dirt tracks if you're a driving fanatic. Situated about 13 km to the right of Kanakapura, is the Bananthimari Betta (Hills), also known as Maribetta or Karadibetta. A hotspot for adventure buffs, this place is ideal for trekking. Right before reaching the hills, you will also find the Bananthimari Temple. A little ahead of the temple is where the hills are located, with a beautiful pond right beside it. "Bilikal Betta" literally translates to "White Hills" and it got its name from the whitish rocks near the summit which is visible from a distance. There is a temple of Lord Rangaswamy on the hill top. It is located about 16 km to the left of Kanakapura town, and is another perfect spot for a trek. There are quite a few trekking services that offer packages for a full day trek along with camping. Chunchi Falls is a breathtaking waterfall located about 30 km away from Kanakapura. If you visit Kanakapura, another 2 hours of this journey is completely worth the sight. Nestled on the river Arkavathi, this waterfall is surrounded by ranges of rocks with a number of warning signs all around the place. A small trek on these rocks takes you to the highest point of the hill, from where you can view this magnificent falls. You can also take the help of local guides for very small prices. Along the same road as Chunchi falls, you will find Sangama, which is the confluence of the river Arkavathi and river Kaveri. This tourist hotspot, will be filled with water during monsoons. An exciting experience of coracle rides are available. Mekedatu is 4 km from Sangama and literally means "Goat's Leap" in Kannada. An interesting mythological significance to its name is that, there was a goat chased by a tiger and it leaped in desperation. This goat is believed to be Lord Shiva in disguise. It is a beautiful location with river Kaveri flowing through it. If you take the Route 3, here are a few places that can be visited around Anekal. Muthyala Maduvu is a waterfall situated about 5 km from Anekal. It is a small but beautiful waterfall, which bounces off the rocks present on its way. These bouncing water droplets look like pearls in the sunlight, therefore it is also known as Pearl Valley. The best time to visit this secluded spot is during Monsoon, as it has a good flow of water. The place is well-equipped with restaurants and restrooms around it. A small Shiva Temple overlooks this waterfall. Another haven for bird-watchers is the Thattekere Lake, located 22 km from Anekal. It is a hidden lake which houses birds such as Egrets, Kingfishers, Sandpipers and Quails. The way to reach this lake is also an elephant corridor, so care should be taken to always stay in open places and avoid the thickets. You can also visit a small Mahadeshwara Temple nearby.